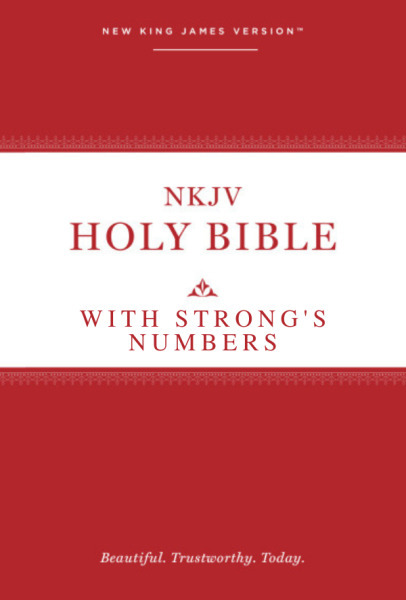 The New King James Version is now available with Strong's numbers! Olive Tree's Bible App makes Strong's numbers easy and powerful. Tap on a word or Strong's number in the text and open the related dictionary information in a new screen, split screen, or pop-up window, depending on your device and settings. Based on the same Hebrew and Greek texts used by the translators of the masterful and time-honored King James Version of 1611, the New King James Version, or NKJV, attempts to update the language of its predecessor while preserving its faithfulness to the truth and its excellent literary qualities. Scholars working on this project invited input from pastors and other advisors to insure that their translation would meet the needs of public worship, Christian education, and personal reading and study. Like the original KJV, this new translation, published in 1982 by Thomas Nelson, Inc., carefully avoids paraphrase in a reverential attempt to preserve the authority and accuracy of the word of God. Upgrade Pricing Available! If you've previously purchased a qualifying item, like the NKJV, you can purchase this item for a special upgrade price. The upgrade price will be visible when you log in to your Olive Tree account and add the item to your cart (NOTE: Upgrade pricing is only available on www.olivetree.com, and not via in-app purchase).